There are very few ambitious basketball players who have never sprained an ankle. Whether you get your ankles broken by a vicious crossover or you land on someone else’s feet after a layup – it’s bound to happen someday. Fortunately, you can reduce the risk of injuring your ankles by getting a pair of basketball shoes that provide a ton of ankle support. These shoes will increase the stability of your feet and protect against excessive movements of your ankles that could result in sprains or worse ankle injuries. Warning: If you are recovering from a severe ankle injury or if you sprain your ankles easily and frequently, getting ankle support from your shoes might not be enough. Many NBA players get their ankles taped before every game or wear ankle braces to provide additional stability. Check out this article to learn more about ankle braces and to find out which one helped save Steph Curry’s career. The following list shows you the top 10 shoes when it comes to ankle support. 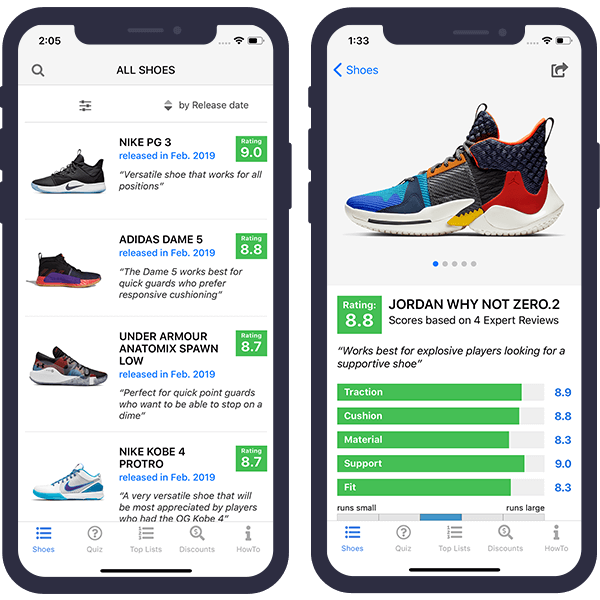 The ranking was generated by summing up the findings of 477 expert reviews of 81 different basketball shoes and ranking them by the average score they received in the category “support”. Affordable low-top with excellent traction, great support, and solid cushioning. Perfect if you are looking for an affordable all-around performer without any weaknesses. Great bang for the buck and should work well for positions 1-4. Great court-feel, lockdown, and stability. Chris Paul's 11th signature sneaker is very well-liked by sneaker reviewers. The traction has amazing bite and works well even on dusty courts. The low-to-the-ground cushioning setup provides a nice combination of impact protection and responsiveness. The forefoot strap helps to lock down your feet tightly, and the lacing system makes sure that there is zero heel slippage. Materials aren't premium but they do their job (even though ventilation could be better). Overall, the CP3.XI is a great all-around performer that should work well for positions 1-5 and comes at a very affordable price! The Nike PG2.5 is almost identical to the PG2 but comes with an additional forefoot strap we know from the PG1. This addition improves the fit and support a little bit as it gives you the ability to customize the forefoot to work with your feet. Other than that, materials, cushioning and traction remained unchanged and provide the same great performance that the previous model did! At only $110 retail, you can't go wrong with these! The Dame 5 is Damian Lillard's latest signature shoe, and it's also his best! The traction works amazingly well on clean courts, but the translucent rubber versions are a little too slippery on dusty courts. The full-length Bounce cushioning provides a great balance of responsiveness and impact protection. The materials are super comfortable and very supportive, but the felt that is used on some colorways receives very little love from sneaker critics as it feels cheap and gets dirty easily. Overall, this is a great performer, especially at the very affordable retail price of only $115. The Pro Bounce is Adidas' new team model similar to Nike's Hyperdunk line. One of the highlights of this shoe is the traction pattern that offers great bite on clean courts but also works well on dusty courts or outdoors. Adidas uses its Bounce cushioning system which gives you a nice balance of responsiveness and impact protection. The upper material feels a little cheap but it is very sturdy with excellent containment and support. 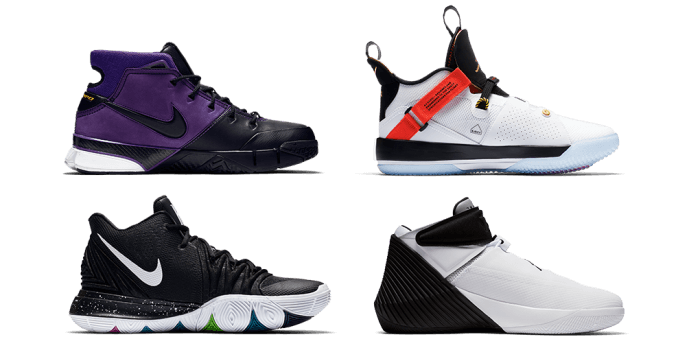 Overall, the Pro Bounce Low is an awesome basketball shoe that offers great bang for the buck and should work well for positions 1-4. The latest shoe in the Kyrie signature series is very similar to previous shoes in the series. It focuses on support and court-feel and gives you the ability for quick crossovers and creative attacks of the basket. The new Nike Zoom Air Turbo cushioning remains firm and is clearly optimized for court feel - if you are looking for comfortable shoes with a lot of impact protection, then you won't be happy with the Kyrie 5. Overall, this is a very supportive shoe that works best for guards looking to imitate Kyrie's playing style. Do high-top basketball shoes prevent ankle sprains? High Tops wrap your ankles, so they must logically provide more ankle support than comparable low-tops, right? Not so fast! Scientific studies have analyzed the frequency of ankle sprains of players wearing high tops versus players wearing low-top basketball shoes and couldn’t find a difference. The additional collar height is not restrictive enough where it can save your from rolling your ankles. 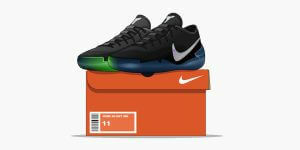 Another study showed that the fewest injuries occured in players wearing low-top shoes and laced ankle stabilizers. How do I find a shoe with a lot of ankle support? If high-tops are not the solution, what else can you look for? You want to look for a shoe that securely locks down your feet and prevents unnecessary side-to-side movement. Make sure that the shoes fit tightly and that the upper material is strong enough to hold your feet even on agressive movements. Actually, only a very small amount of the support of a shoe depends on the part of material around your ankles. No shoe will be sturdy enough in this area to prevent you from rolling of the ankle, because nobody wants to play in a shoe that feels so restrictive. 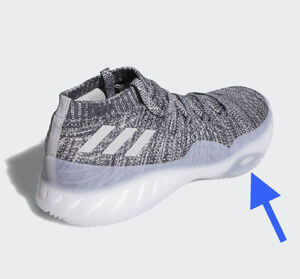 In fact, many modern high tops like the Crazy Explosive, or Curry 4 have a sock-like material around the ankles that provides zero additional support. Great support comes from a lot of features like the outrigger of the sole, the heel cup, how well your are locked into your shoes and how little your feet move inside the shoes. If you have serious ankle issues make sure to get an ankle brace as it’s the only way to significantly reduce the chances of an injury! 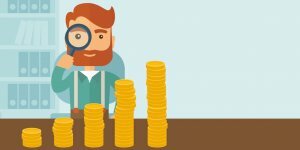 Hi Andy, awesome article. Was wondering if you had any insight on the New Kobe AD’s and how well they will provide ankle support. Thanks! Thanks Damian! 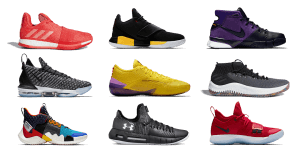 Check out https://www.thehoopsgeek.com/shoe-reviews/nike-kobe-ad-exodus/ and scroll down to the “support” section to learn more about the support of the Kobe AD Exodus. The LeBron 11s are hands down THE BEST. I’ve completely torn my ATFL ligament and after years of search the LeBron 11s are the best due to their straps. Even when I worked for FedEx in a very rural area they worked like a charm on rocks and crazy mountain terrain. A bit heavy but well worth it if ankle support matters to you like it does to me. 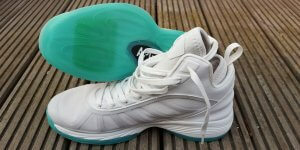 What are the best basketball shoes with good ankle support for my 16yr old son who lives & breathes basketball? He been looking at Adidas Dame 4. 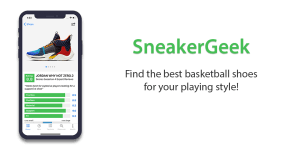 Check out http://www.thehoopsgeek.com/shoe-reviews and sort the table by “support” to find the most supportive basketball shoes.